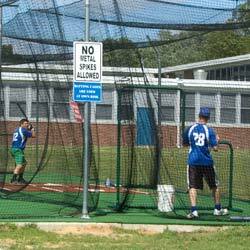 The 12 Hole Pitcher's Pocket Practice Screen is perfect for evaluating a pitcher's accuracy. 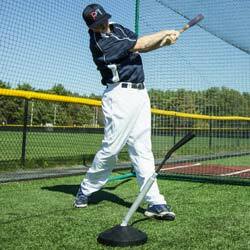 This baseball and softball training aid feels like your own personal catcher, instructing you exactly where to throw the pitch and showing where it ended up. 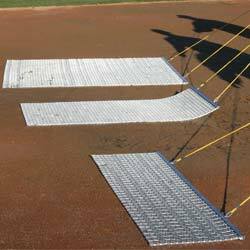 The pitching pockets provide a complete variety of targets for a pitcher to practice pitching, to improve and help evaluate accuracy. Pitching frame is constructed of 1 5/8" steel. 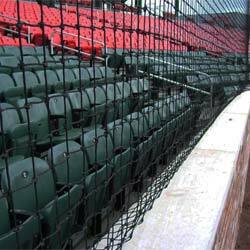 Practice pitching pocket is laced with a #60 nylon net to a 1/2" bungee cord. The frame is protected with vinyl covered foam which is reinforced with grommets and sits on 2 removable legs. The pitching target is available in 9 different colors, so you can make sure your baseball training equipment matches your team or school colors.